Raise your hand if you’re more productive when you’re happy with your surroundings. I’m guessing that probably applies to the majority of us. 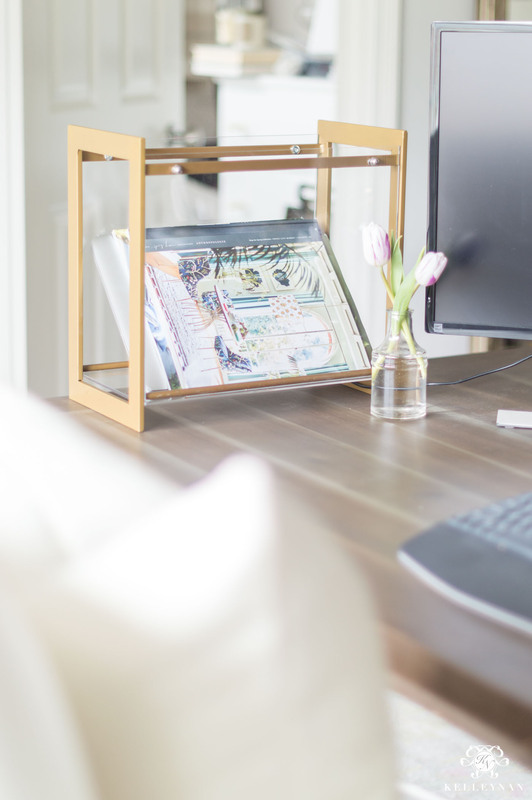 Whether it’s procrastination, needing to feng shui our brains, or most likely a little combination of the two ;), the way our work spaces are set affects us. It affects our vibe and affects our productivity. And when I say “our”, at minimum I mean my own and I know I’m not alone here ;). I mean, are you really gonna be able to concentrate on your emails if you’re looking at scattered bills, mail, and a project from Halloween you didn’t get to, shoved in the corner of the room? 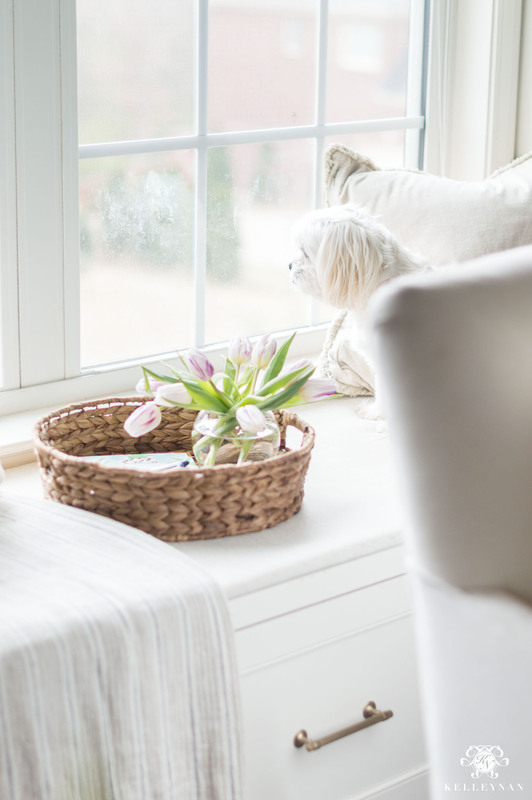 Today, I’m sharing five ways to get yourself (and your office) ready for spring. No work space? No problem! These tips can totally be applied in other areas of your home! 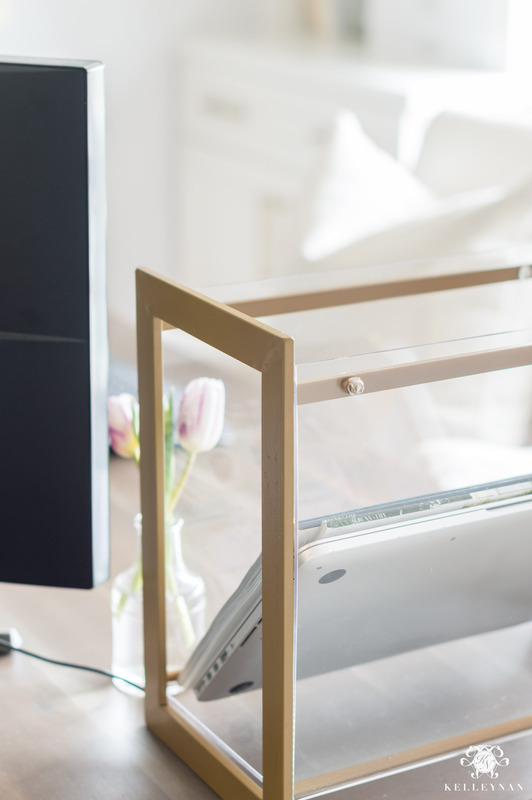 Whether you have a full office or a small stationery desk, what we surround ourselves with matters. 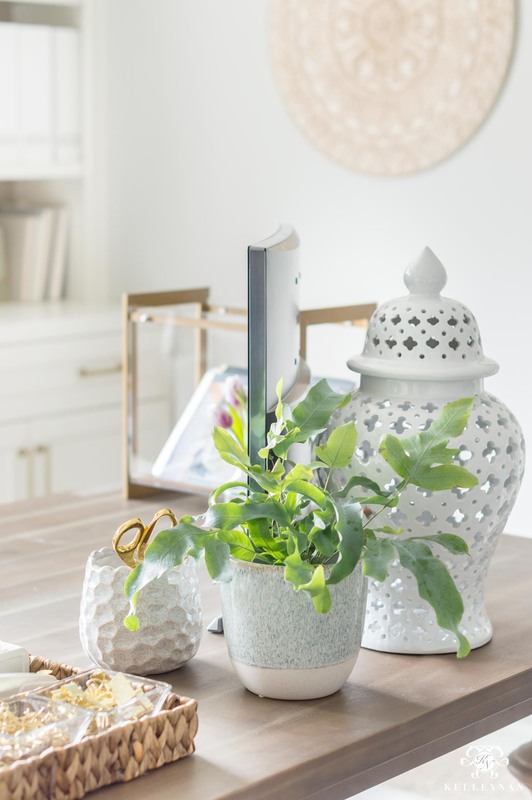 And, what’s crazy is that it’s likely one of the first spaces to accumulate clutter and one of the last places you think to personalize… it should actually be the opposite. Whatever you need to do to get your best work done — do that. Last year, I tattled on myself to you guys over and over about how I’d developed the habit of working from the kitchen bar area, despite having an office I love. I’m happy to report that since 2019 began, I’ve effectively kicked that habit and have set up shop in my actual office each day. I know it’s where I do my best work but 1. bad habits are hard to break, and 2. I wasn’t motivated when I looked around and saw a disorganized mess. Visual clutter = a cluttered mind. That neverending to-do list will always be there but if we can at least keep the constant reminders of all we haven’t done out of immediate sightline, we have a better chance of staying on task. I am 100% a total slave to distractions. Another important part of keeping me in my office is by surrounding myself with pretty, seasonal, interesting things I love. If it’s where you spend the most time, shouldn’t it inspire you? Shouldn’t that be where you allow yourself some seasonal transitions? 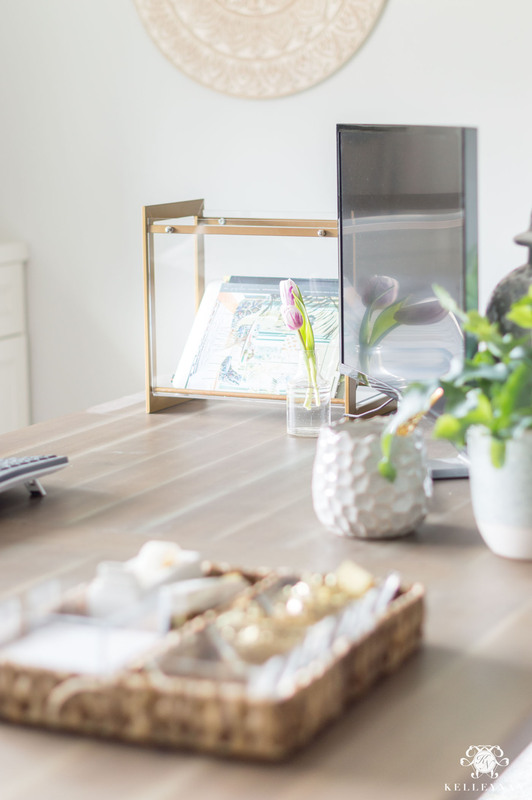 Remember — that’s why I’m all for Christmas trees in the office 😉 So, whether you’re looking to motivate, spark creativity, or maybe you just want to feel like it’s spring when you’re stuck inside, here’s five things you can do to take your work area up a notch this season. I also determined that by having such a big tray, I was enabling myself to keep too much on the desk. I decided to size down a little — to give myself some discipline if nothing else haha — and made a rule that only the small items that fit in the tray would be left on the desk. 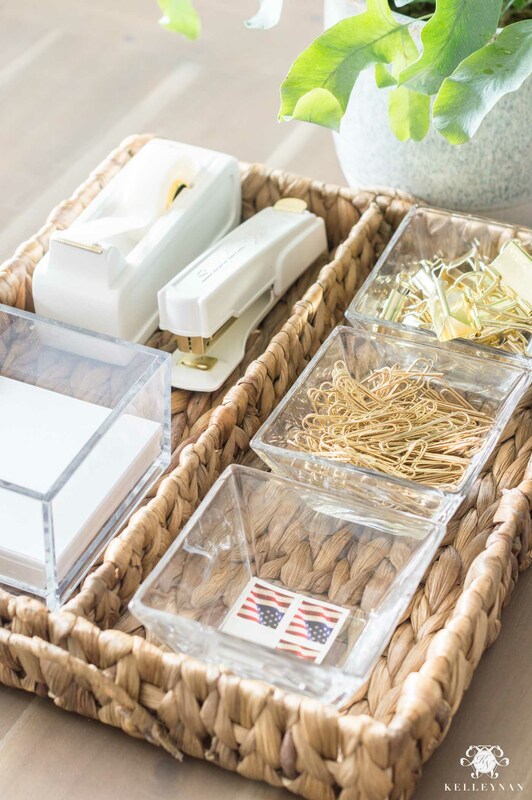 The “tray” (HERE) is actually a server, intended for entertaining but when I saw it, I knew it was meant to be an organizer for my desk — it fit my essentials perfectly. You can check dimensions and get the details HERE. Yea, flowers are nice (and obvious) and I love keeping a few stems on my desk as much as the next gal but live plants are where it’s at. Even if you think you have a black thumb, there isn’t much risk to at least try. There are so many plants available for less than the cost of even a bouquet of flowers — that you know before you purchase them — will die in a week’s time. 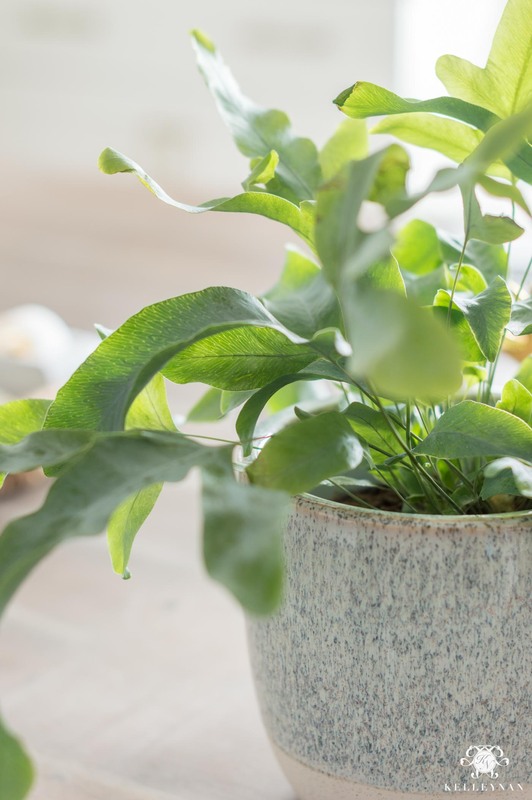 If it takes a little while to get it right in caring for a plant on your desk, it’s ok. Remembering that time you forgot to water your last potted guy isn’t reason enough to ward them off forever! I’m a lazy plant mom who doesn’t re-pot and forgets about watering and even I’ve had some pretty good success over the past couple of years. I kid you not, I have a small peace lily that has set in the same spot in our bathroom for the past four years that has survived solely off of dumping the last bit of room temp water from stray water bottles that end up in there. 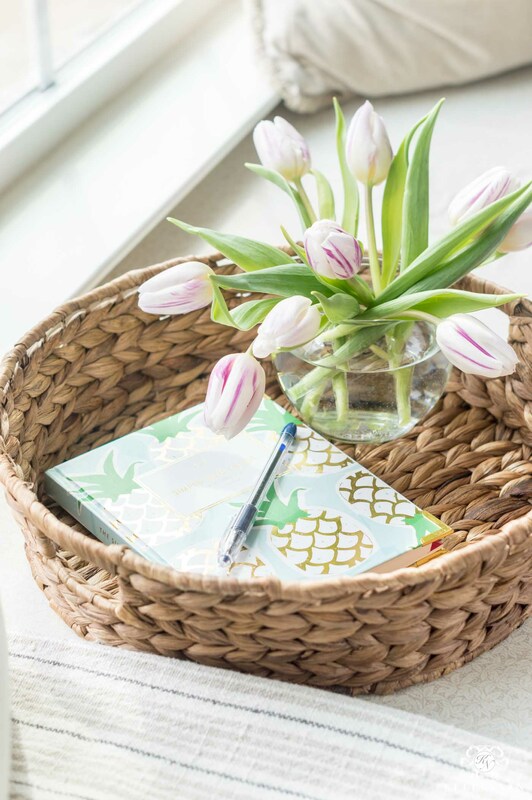 By the way — I loved THIS handled basket so much I also got one for toy storage in the nursery 😉 The Home Depot’s been bringing their basket game and they have some really cute affordable, two-toned, tassel-y numbers for spring. Ok, yes, use them for those desk plants we just talked about but that’s not all pretty pots are good for. 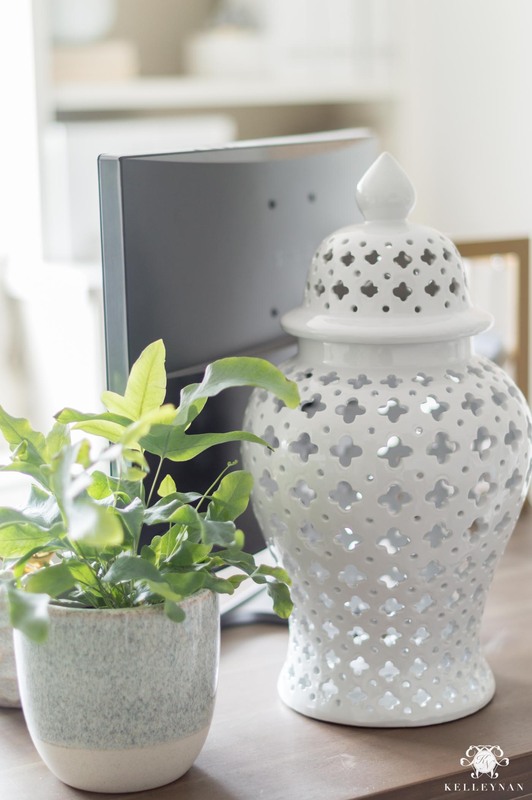 If you get a little greenhouse/spring gardening vibe going in your office/work space, you can use small planters for decor and storage. I traded my small pencil cup for a more spring-y ceramic container and it’s giving me major heart eyes. FYI- I’m not great at envisioning sizes even when I look at dimensions but The Home Depot has free shipping over $45 and free returns to any store so I knew if I was way off, there was no risk. When I was clearing my desk, sorting, and picking up, I had nothing but heaviness (like dark brass) lining my workspace. As soon as I started subbing some of those metals and hard materials for woven accents, the entire office softened. 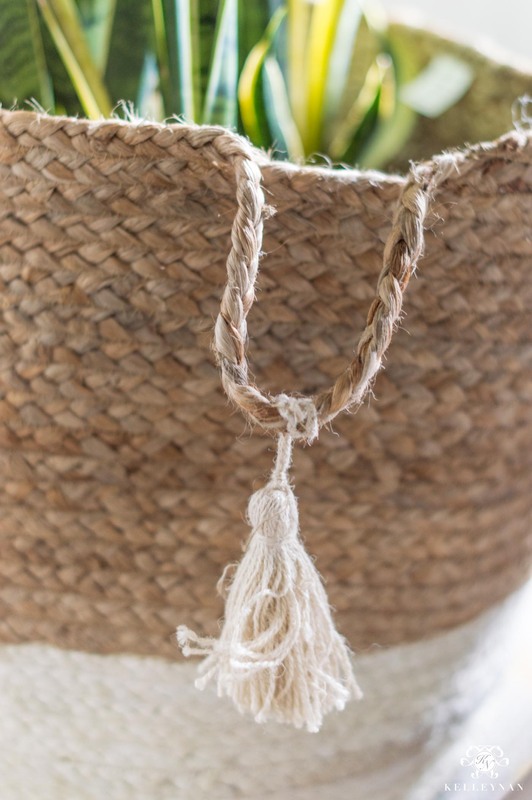 Whenever I see water hyacinth, I think of the coast, picnics, and Easter — basically, warm weather and sunshine. 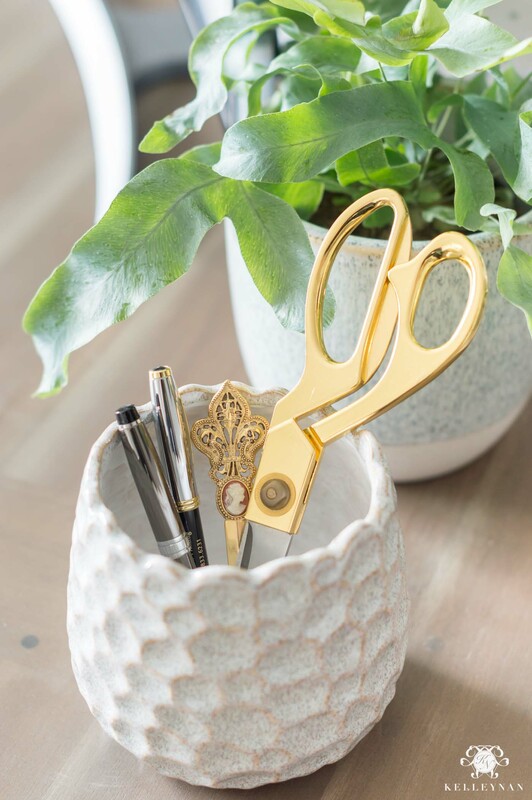 Similar to the serving set I’m using as my desk organizer, I love the idea of using THIS woven caddy for art supplies (markers, scissors, etc.) and THIS caddy for pens, pencils, highlighters, etc. And, if you like the idea of my desk organizer but want one a little smaller, THIS three-section one is half the size. Those of you who are familiar with my office may remember the white wooden document tray. I do still have it but it was big, clunky, and took up a lot of space. Plus, the stacking situation had gotten a little OOC. I pared it down, set it on the sidelines for a bit, and switched to THIS clear acrylic magazine organizer and added my most recent, colorful catalogs of the season. First of all, I’m enjoying the sideways storage and second, the airy look doesn’t feel to overwhelming on my desktop anymore. Look how much more clean this looks. But my favorite thing — those of you who have a similar setup with appreciate this — is that this is where I set my laptop while I’m working and because the sides are open, I can run the cords out both sides. For that kind of easy access, I would even use this on a kitchen stationery desk docking station, or in the living room if it’s a primary charging spot. To recap and break it down, these are the spring-prep steps I try to follow. Keep visual clutter to a minimum. Simplify. Trade heavy and dark for textured and light. Go after baskets, planters, vases (and acrylic/clear when appropriate). 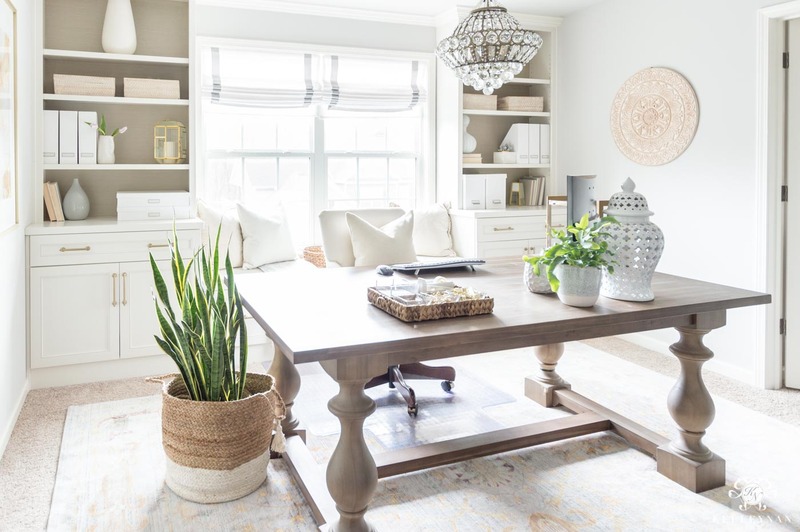 Get creative with versatile pieces that can be used for different purposes across different seasons, rooms, and occasions. For full office details, visit my office source page HERE. 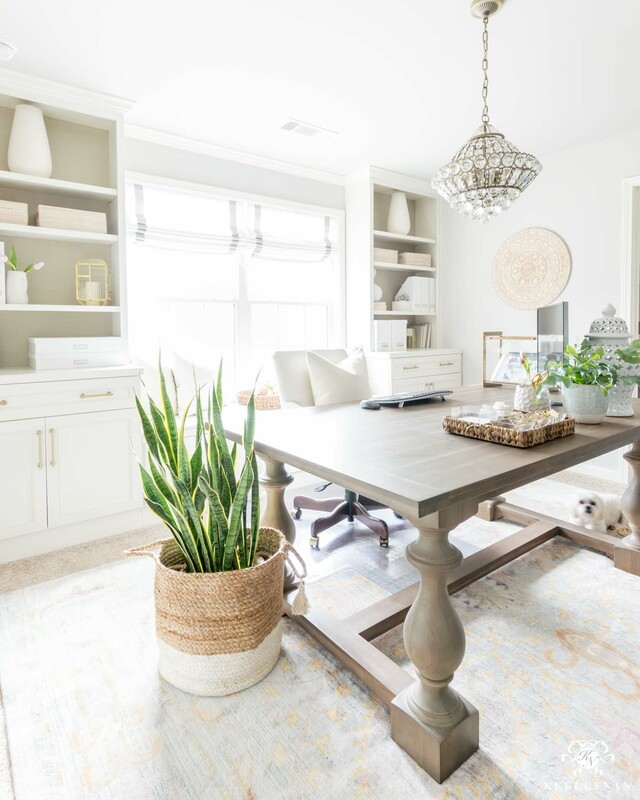 Here’s to creating and maintaining efficient spring offices and tackling all the things in work spaces we love! So love your Spring touches. I am definitely making note to use some of these new things. The ginger jar tips genius! Am trying to incorporate some live plants into some of my rooms. 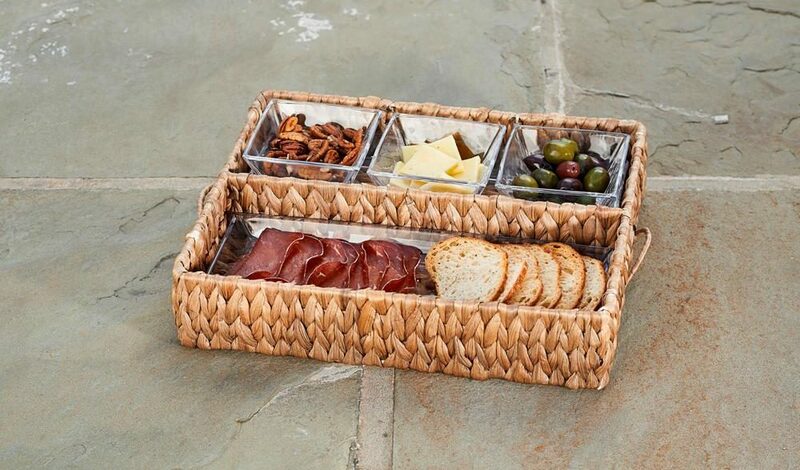 Love the use of baskets. Do you put some kind of tray or liner inside the baskets/under the pots to keep them from leaking? 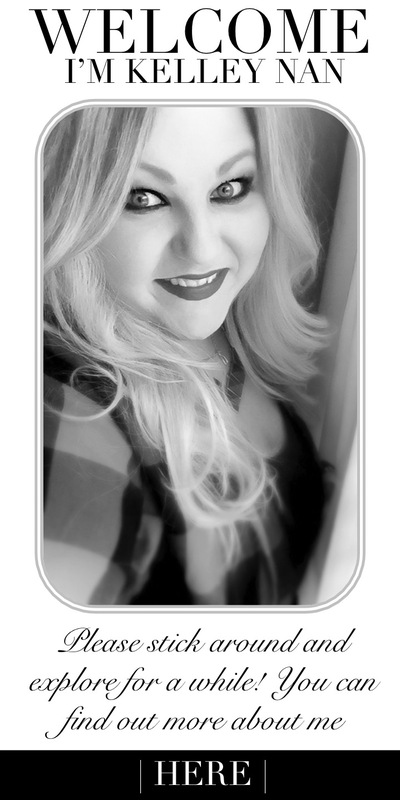 Hi, Leslie! If a planter has a drainage hole, I will set one of these cheap fitted plastic saucers at the bottom: https://rstyle.me/+sEiiQxVwnaOaHh3VyI96Pg If the pot doesn’t have a drainage hole, (the plastic container the plant comes in still will) and I don’t worry about it. I’ll just check occasionally to make sure there isn’t standing water at the bottom of the plant!